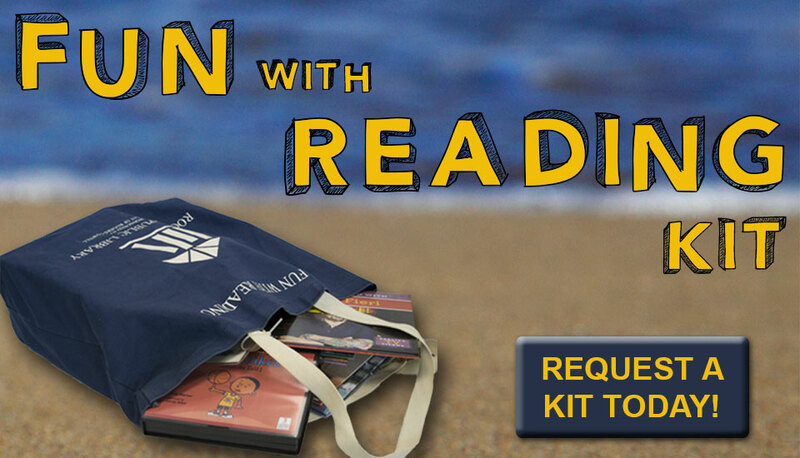 Fun With Reading Kits are bundles of library materials including books, audiobooks, and/or magazines pulled by Children’s Library staff and selected specifically for your children. Just fill out the online form which will give us the information we need so we can select materials sure to keep your children occupied on a long road trip, plane ride or at home. We will select materials appropriate for your child’s age and interests and we will also take requests if there are any topics or specific books that you think will be perfect for your child! It is the parents and/or legal guardians’, (not the Rogers Public Library or its staff), responsibility for monitoring their children’s use of the Internet, information selection and/or access to these items by their children. The Rogers Public Library strongly encourages parents and/or legal guardians to supervise their children’s use of Internet access by remaining aware, and having open conversations about Internet safety and guidelines about acceptable use, as determined by the parent. No filtering software can control access to every material that an individual may deem inappropriate. Please note that social networking sites are available on library computers. Read more here.